As I write this, the 75-degree temperature, blue sky and calm ocean have me loving life on the Outer Banks. I mean, its beauty wows me at all times of the year, but this recent weather has me even more spellbound as spring sets in! This weather draws all of us outside – how can we resist it? Although, who wants to go to the beach, the sound or nature preserves – you know, the places that create the Outer Banks’ signature beauty – and see trash? Cigarette butts and straws stick out of the sand. Cans and bottles litter the streets and grass around walkways. Escaped balloons get tangled in trees. Honestly, y’all, we can do better than this. 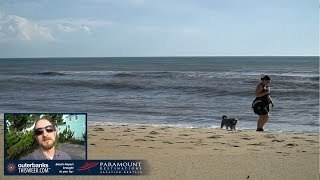 Many consider the Outer Banks one of the most beautiful places in the world, and we owe it to our breathtaking beaches to keep them healthy and clean. This weekend, it’s time to show some love to the incredible natural environment we get to call home. I’m calling for an annual event that inspires some and terrifies others: spring cleaning! Wait, don’t run away just yet – let me explain. Yes, I grew up cringing at words “spring cleaning” whenever I heard them. Now, though, I’m starting to appreciate my parents’ weird enthusiasm when they announced, “And this Saturday, we’re going to do some spring cleaning!” … like it was an event, and they were pumped for it. But I’m broadening the perception of spring cleaning. It should apply to so much more than just a room or a house. Doesn’t the place we live deserve a little spring cleaning too? Let’s take our spring-cleaning urge to the beach. 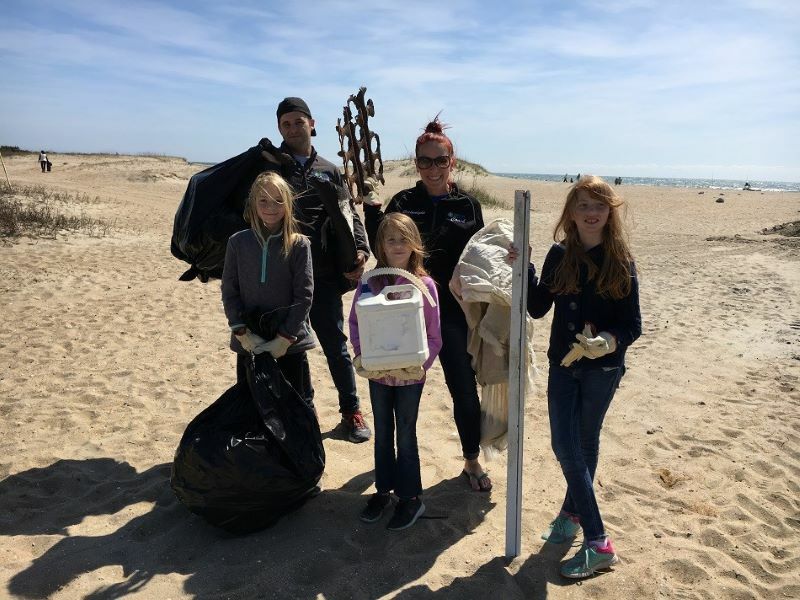 This Saturday, April 13, from 8 a.m. to 12 p.m., the National Park Service and North Carolina Beach Buggy Association are hosting three beach cleanups on Cape Hatteras. 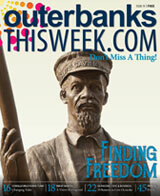 It’s an awesome opportunity to help spring clean our Outer Banks home. No registration, no time minimum and no special gear are required to participate (aside from weather-appropriate clothing and gloves). This drop-in beach cleanup is open to all, and it’s an irresistible chance to spend a sunny spring day on the beach. Not too bad if your other option is chasing out the dust bunnies hiding under your bed! The cleanups target three beaches: Bodie Island’s Coquina Beach, the beach at the old site of the Cape Hatteras Lighthouse and the Day-Use Area on Ocracoke Island. Park staff will be checking in volunteers at Coquina Beach’s bathhouse, the Cape Hatteras Island Lighthouse old site’s parking lot and the Day-Use Area parking lot, respectively. They’ll give you a collection bag, and then the beach is yours! Round up your crew this Saturday, and go spend an hour or two on the beach. Unearth those cigarette butts from the sand. Collect the tattered remains of left-behind clothes, beach toys and other items that don’t belong outside. Do you see any plastic bottles, bags or other plastic items? You know what to do. The event organizers recommend that volunteers arrive with closed-toe shoes, gloves, a hat, sunscreen, water and snacks. There’s no age limit to volunteer, but children younger than 18 years old must be with a guardian. 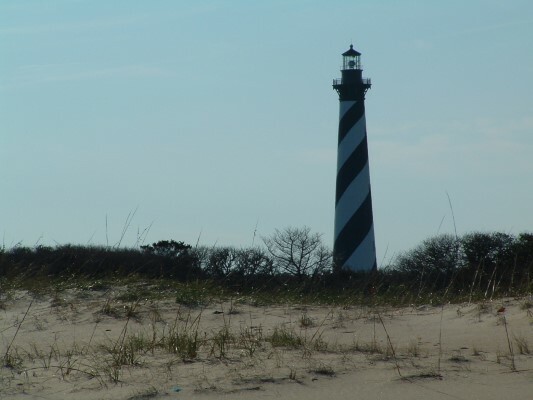 If you want to learn more, contact Cape Hatteras National Seashore’s park staff at (252) 475-9042. For other events happening on the Outer Banks this week and weekend, take a look at our Daytime Events page and Nightlife page. That's where you'll find a few other activities that will also help you connect with the Outer Banks environment, including an open house at the UNC Coastal Studies Institute and a fundraiser for N.E.S.T., a local nonprofit that protects and manages sea turtles on the Outer Banks.